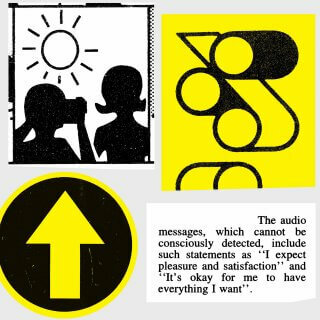 Master printmaker Anthony Burrill’s wonderful world of printed matter, presented through a personal selection of offbeat ephemera and typographic curiosities. Funding successful. This project closed on Sunday, February 11 2018 8:00 pm UTC +00:00. 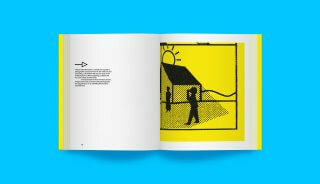 Anthony Burrill grew up amid the natural beauty of the moors between Manchester and Leeds, England. Burrill was attracted to words and letterforms from an early age, collecting printed ephemera from travels with his grandfather. 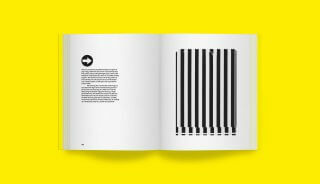 After studying graphic design at Leeds Polytechnic, he went on to attain an M.A. 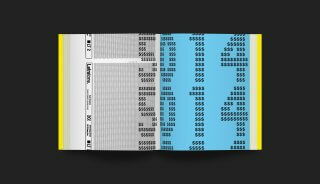 from the Royal College of Art, London, where he was perhaps most influenced by typographer Alan Kitching. 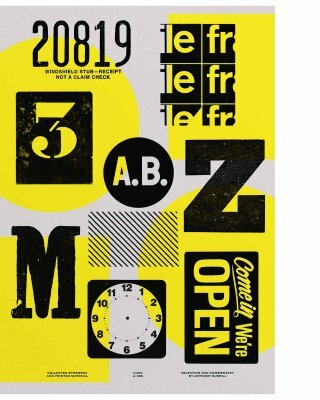 Setting out on his own, he produced a range of posters with bold typography and positive messages, which soon caught the eye of letterpress and type lovers everywhere. His “Work Hard and Be Nice to People” print is perhaps his best-known early work. “I overheard the phrase being spoken by an elderly lady in the queue at the local supermarket,” he has said, “it immediately struck me as being profound in its simplicity and truth.” It is this simplicity and generosity of spirit that characterises so much of Burrill’s work and is captured in Look & See. 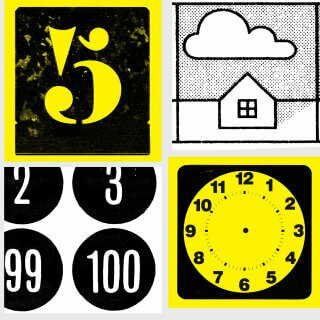 Anthony Burrill is one of those rare artist designers with the talent and courage to eschew current trends. It is the simplicity and clarity of his message, beautifully executed through traditional means, which makes his work so effective and memorable. 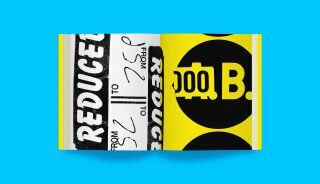 Burrill has been collecting printed objects for decades – during a period when printed matter has undergone profound change – from ticket stubs and shop receipts to local announcements and quirky newspaper items. 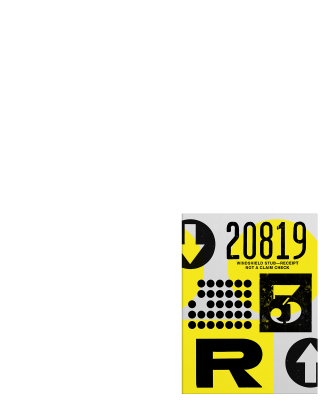 In them he sees the mind of an anonymous designer or typographer at work, and the occasional unexpected results they produce. Truly ‘seeing’ the designed world around us, Burrill is the perfect guide to present the quotidian in a delighted and delightful way. 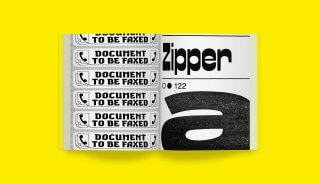 For Look & See, Burrill has trawled through thousands of objects to make his selection, behind each of which is perhaps unintended wit, a mini revelation or a startling insight. 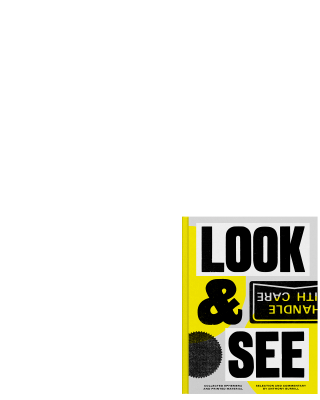 Look & See is for anyone who wants to celebrate and perhaps find new meaning in the everyday objects we take for granted. 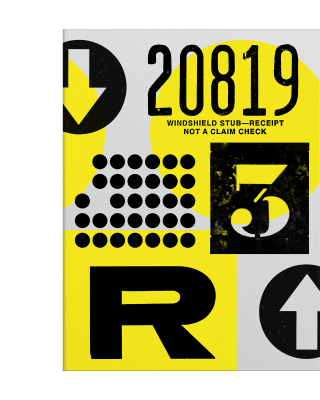 Beautifully designed and printed, Look & See will feature found typography, illustrative oddities and appropriated design presented in Burrill’s distinctive reductive graphic style. 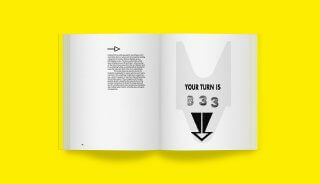 Punctuating this journey will be sumptuous full bleed spreads – showing off the nuance and detail of selected pieces – and a specially commissioned photographic survey of Burrill’s archive and studio, in which readers will be able to appreciate the physicality of the collection and the space within which the book has been curated and designed. 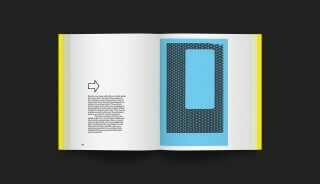 A treasury of visual inspiration, Look & See has been conceived to be a covetable printed curiosity in its own right, with a cover screen printed in three colours and in an elegant and tactile Bodonina binding, whereby cover boards are trimmed flush to the book-block and fastened with fabric tape. 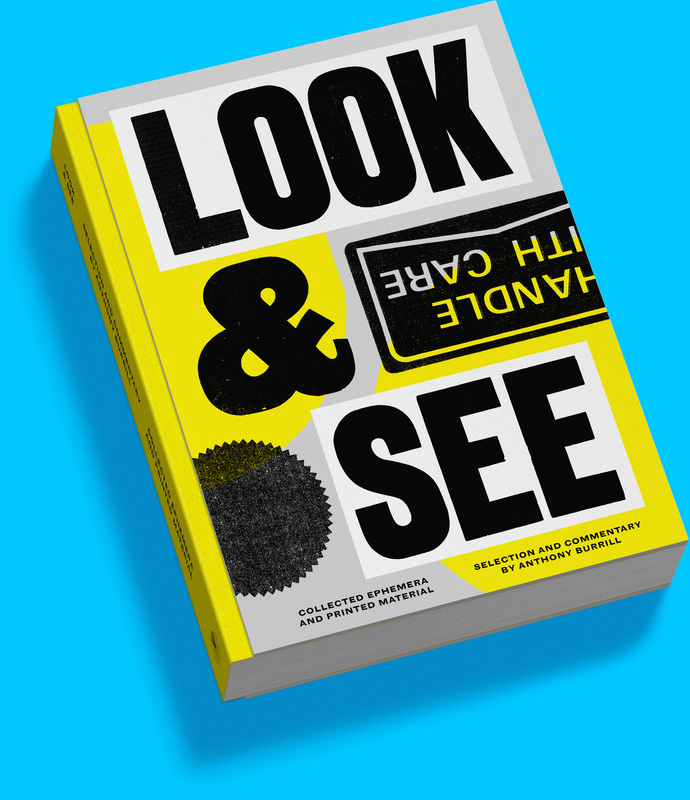 This edition of Look & See is exclusive to Volume. 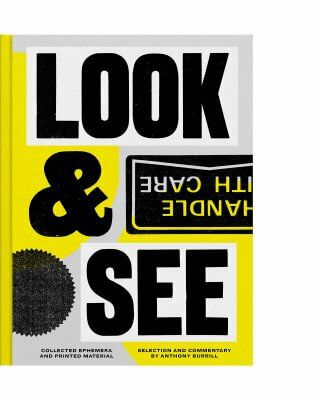 To accompany the launch of Look & See, Burrill has designed a poster only available as part of this Volume campaign. Capturing the feel of a visual miscellany, the poster shows Burrill’s exuberant, yet respectful, style found in some of the featured items. 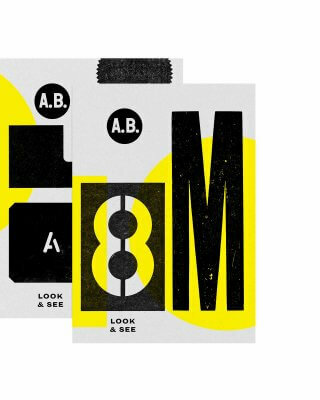 This poster reward – each one bundled with a copy of Look & See – will be hand screen printed by Burrill in Kent and will reflect the superlative values for which his printed work is admired and collected. 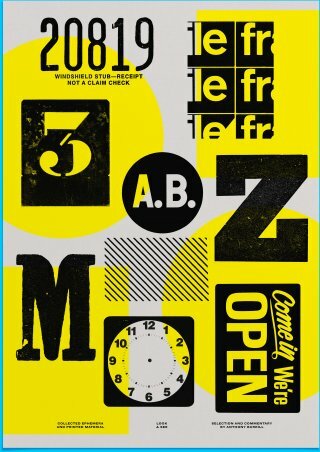 Anthony Burrill has a rare gift amongst designers: he does striking work, striking in its simplicity! 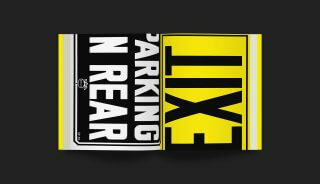 Burrill enriches the typographic world by turning the ordinary into the extraordinary. Nothing encapsulates Burrill’s art and craft better than this deluxe special edition, limited to only 250 copies. Carrying on the visual themes developed for the book, Burrill has created a book-object of rare beauty: a signed and numbered copy of Look & See rests in a protective clamshell box featuring an original Burrill design. Bundled in with each special edition are a pair of screen printed Look & See postcards, only available as part of this reward. 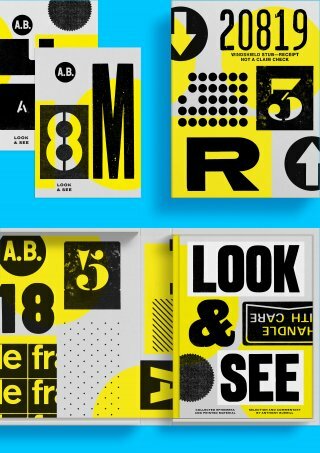 I’ve always loved the work of Anthony Burrill. I find the power of his messages really fascinating: at first one is presented with the obvious, but in utilising the right design and font, it becomes something so impactful! For a limited few, for whom the physical artefact is not enough, Volume is delighted to offer an exceptional opportunity to spend a day with Burrill as part of a small group studio visit. Guests will make their own travel arrangements to the UK and to Burrill’s local train station, where they will be collected and taken to his private house and studio in Essex and offered welcoming refreshments. Burrill will provide a tour of his studio, including unique access to the personal archive from which the items in Look & See have been selected. 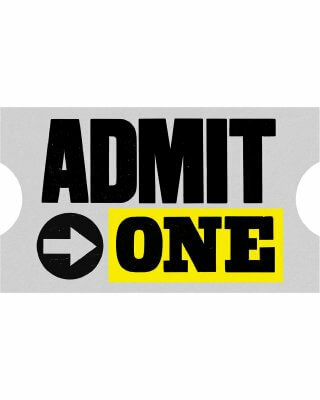 Guests will be taken for lunch in an award-winning local pub, before visiting the legendary print-makers Adams of Rye, where they will receive a demonstration of hand-set letterpress type and get the opportunity to print their own postcards. The tour makes a stop at another local pub for tea, before guests are returned to the train station with signed copies of Look & See, as well as a few surprise items to take home. Guests are sure to have a memorable day, leaving with a genuine appreciation of Burrill’s infectious enthusiasm, passion for print and love for all things designed. For a limited few, for whom the physical artefact is not enough, Volume is delighted to offer an exceptional opportunity to spend a day with Burrill as part of a small group studio visit. Guests will make their own travel arrangements to the UK and to Burrill’s local train station, where they will be collected and taken to his private house and studio in Kent and offered welcoming refreshments. 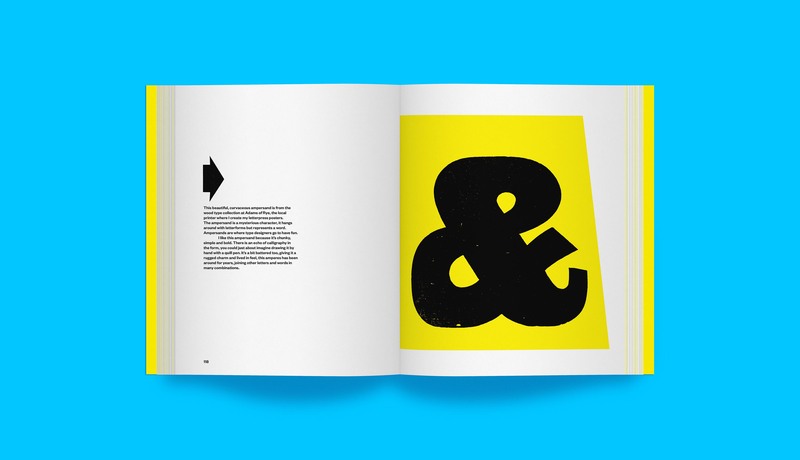 Graphic artist, print-maker and designer Anthony Burrill is known for his persuasive, up-beat style of communication. His work is held in the permanent collections of the Victoria and Albert Museum in London, the Cooper-Hewitt National Design Museum in New York, and has been exhibited in museums around the world, including the Barbican Art Gallery, the Walker Art Center and the Design Museum, London.